Since 1850, Johnston & Murphy has been committed to craftsmanship, style and innovation. A pillar of classic workmanship and a beacon of American Style, Johnston & Murphy continues to set standards, even in the briefcase category. From finely selected materials the Canvas collection has emerged to be a stylish yet practical line. Available in charcoal or boulder. 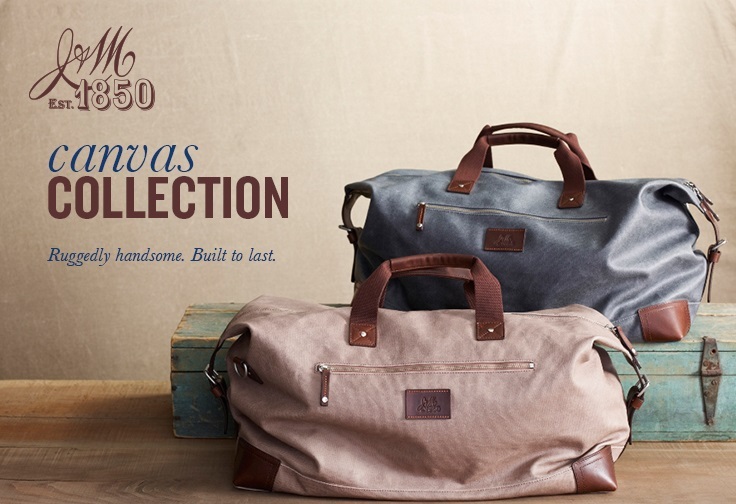 Also all Johnston & Murphy Luggage pricing includes Free domestic shipping and more. No sales tax if shipped to anywhere outside the state of Michigan. On-line ordering is of the highest level secure format. We have been in business for over 60 years and offer 30 day Money Back Guarantee. We also stock and ship out immediately. All Johnston & Murphy pieces are backed by Manufacturer's Warranty. We also can gold hot stamp your initials at no extra charge, just specify desired initials under "Special Instructions" when placing order.